Hair piled up high on my brow with a bow! Skins that are simple with lips like a bow! It was a silly day, so I wrote doggerel. ♥ to all the humans out there who are simply being human. ***Necklace: Kunstkammer Gold Coin Necklace - freebie! ***Poses: Flowery and Long Awkward Pose, today. Please check my posemaker sidebar on my main blog page. 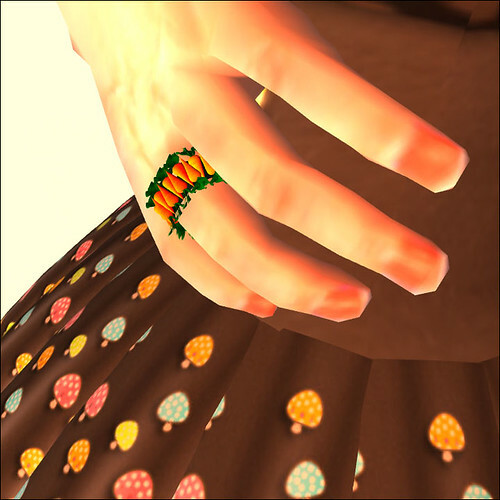 That carrot ring makes me want to chomp on it.